As a home gardener, you need the best equipment in order to produce the most delicious results. A good commercial garden hose that has all weather durability should last you around five to 10 years. A nice pair of gloves could last even longer, and a trowel might last a lifetime. What any gardener needs more than tools, though, is a plan. There are many factors that go into choosing a plot of land. Here are just a few. You will need to ensure your crops are getting sufficient sunlight wherever you decide to plant them. Pick plots of land that receive the requisite amount of sunlight. This means avoiding shadows cast by trees or your home. The ground needs to be flat and level. 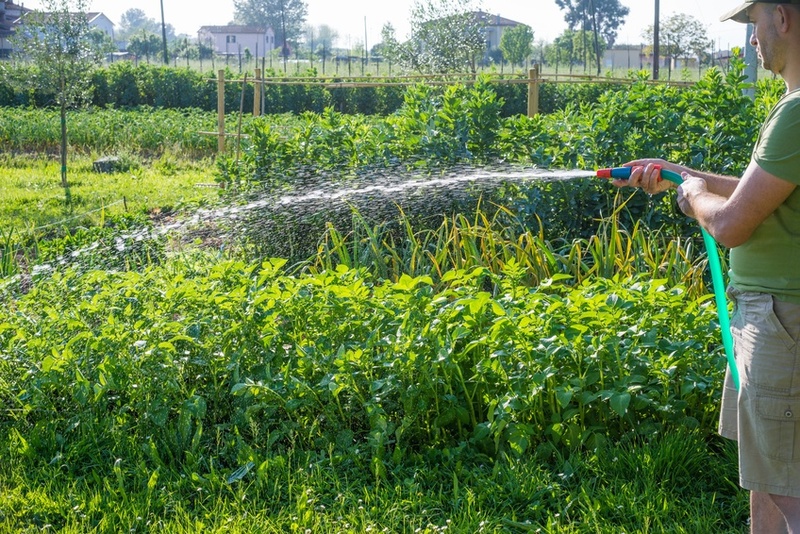 If it isn't water will not distribute evenly across your garden, causing some plants to become malnourished and some to become overwatered. Take into consideration the various limiting factors associated with your yard. There will likely only be a restricted amount of space you can fully utilize. If you have a big backyard, your garden can be as large as your imagination. Once you have outlined a plot of land, it's time to start planting. For this stage, you will want to do one of two things. If you live in a colder climate, you should consider using a raised bed. You can make these out of wooden boxes. They are used to keep the soil warmer throughout the late growing season. You will also be able to start earlier in spring, as they will warm separately from the frozen ground. In warmer climates, this isn't an issue, and you can plant directly into the ground. If you decide to do this, your next step is to dig out your predetermined gardening area. Get the soil nice and loose so it is ready for you to plant seeds. Just because winter is inevitable, it doesn't mean you have to stop growing lovely plants. There are a number of crops and flowers that will grow nicely indoors if kept under the right conditions. The fun doesn't need to end. Planting and caring for a garden can be a magical experience. When you have the right equipment and the proper skills, you can grow anything that works in your environment. Good luck out there, and happy harvesting.